I am sharing this picture to shame this person. And do not give me the crap that I am bullying her. I am not calling her names. I am not demeaning her appearance or anatomy. 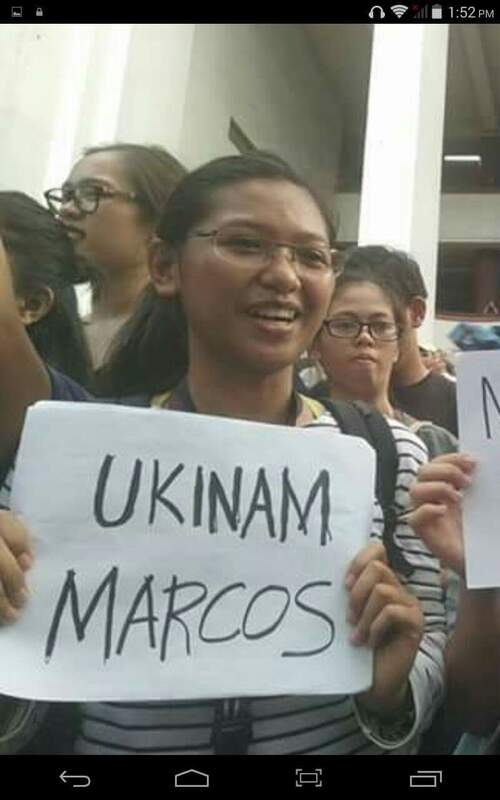 She had the audacity to go to a public rally, carry this despicable placard that bears her politics of personal attacks, and had her picture taken with it, even proudly. She has become public property in this act. I am tolerant of "putang ina" but not in a placard in a political rally. And it is not even "putang ina mo" but "puki ng ina mo" in Ilokano. That is where I draw the line.